Nothing says summer like pool noodles! I always like to tuck a few away for other times of the year too. Cheap and easy to find, pool noodles have so many uses! Check out this giant list of 25 cool pool noodle play ideas for anytime play! Nothing to fancy or hard to set up, these pool noodle play ideas include gross motor, fine motor, early learning, STEAM, sensory, and seriously fun activities for kids and even grown ups too. Which one will you try first? 25 DIY Pool Noodle Play Ideas Make Every Day Fun! Most people think of pool noodles and think of swimming pools. When I think of pool noodles, I think about cool pool noodle play ideas. Sure we use them to swim, but we also use them for quick and fun activities too. We love simple activities with simple materials. The quicker the set up the better! 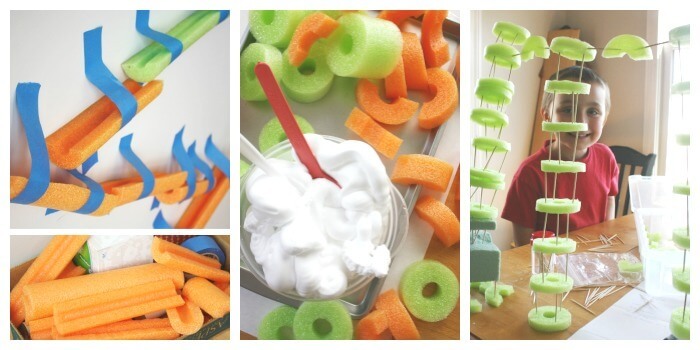 All of these pool noodle play ideas will be a real hit in our house. We have already enjoyed several pool noodle play ideas this year, and I found quite a few more I want to try! 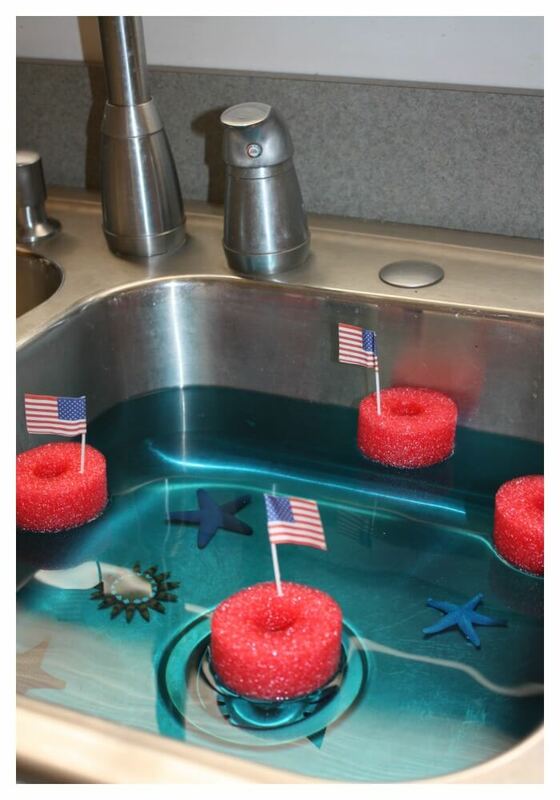 Make sure to stock up on pool noodles for DIY pool noodle play ideas you can really do! 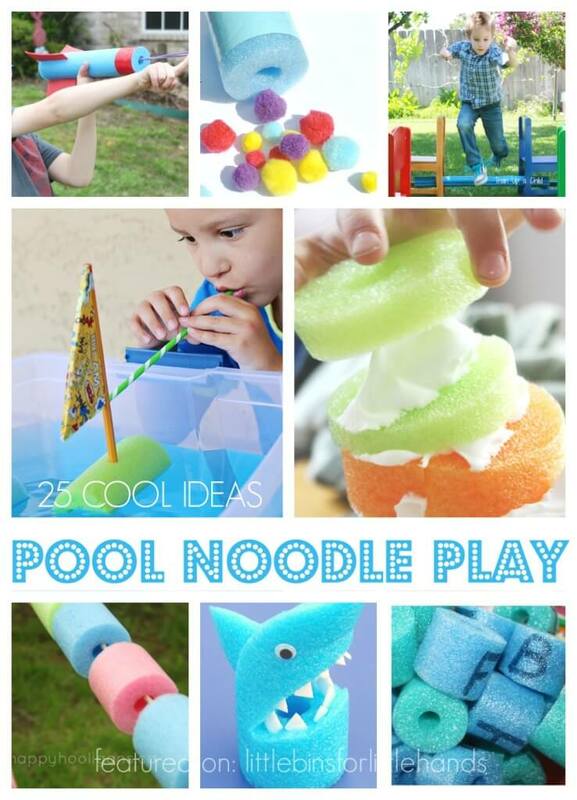 25 Pool Noodle Play Ideas from cool moms of the Kid Blogger Network! There are tons of unique pool noodle play ideas to fit everyone’s interests! You can even paint with them, use them for cutting skills practice, or even make a set of simple building blocks for quiet time play! The possibilities are endless for inexpensive but totally cool ideas. Tip: Adults can use a serrated knife to easily slice pool noodle pieces. Simple pool noodle play ideas are great for indoor and outdoor play! Get started right away and have tons of fun this summer. Have you tried any pool noodle play ideas this summer? Great ideas!!! I especially like the spreading of the shaving cream on the pool noodle parts.